Please select an option Blue Brown Grey Pink Please select a Color. Please select an option Small Medium Large Xl Please select a Size. 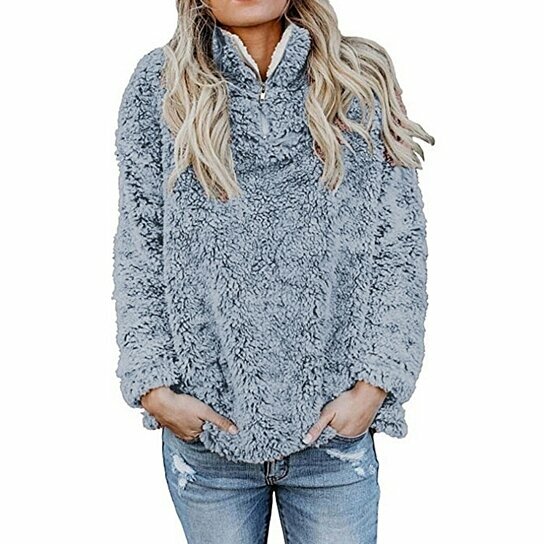 Create fabulous looks perfect for the fall and winter with the Zip Up Top Fleece Pullover This stylish piece feels like a dream come true against the skin, you may never want to take it off. A must have for any fashionista on the go. Available in a variety of fashionable colors and sizes.